The Edinburg campus of UTRGV, which includes a medical school, is located in the heart of Canales’ House District 40. The football feasibility study committee that will meet on Thursday, May 19, is comprised of university staff, faculty, students, community leaders and special advisors. The university is in the process of developing its founding strategic and master plans, and UTRGV President Guy Bailey said the football feasibility study is a subset of those plans. King will then make the final recommendation to President Guy Bailey, according to UTRGV officials. Canales said he supports the creation of a college football team, and looked forward to hearing the ideas of the feasibility study committee. 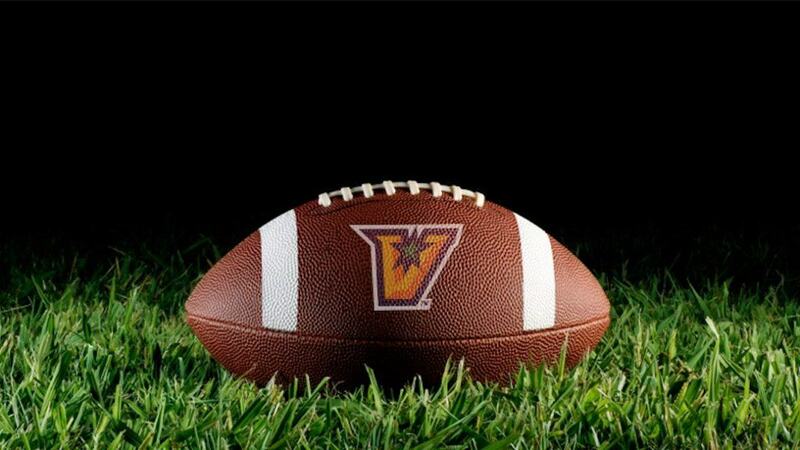 A football program would allow Valley athletes more opportunities to earn a college degree from a prestigious university while continuing with their dreams of playing big-league ball, the state lawmaker added. “College football at UTRGV would also result in the formation of a marching band and many related student activities, and most likely, it would help in the creation of more sports programs for women in the name of equal opportunities for all of our athletes,” Canales said. He noted that the University of Texas-Permian Basin, located in Odessa, will launch their first college football team this fall. Back in Edinburg, UTRGV’s athletic director explained that the work of the football feasibility committee will help in deciding if starting a football program is possible for UTRGV. As former president of the University of Alabama and Texas Tech University, Bailey, who is UTRGV’s first president, has extensive exposure to major college football programs. “As we work on our strategic and master plans, it is important that we examine all aspects of our future. This is an ideal time for our university to explore the possibility of bringing college football to the Rio Grande Valley,” the UTRGV president said. The committee will work with the consultants chosen to conduct the feasibility study. Brown has been involved with college football as both a player and coach since 1969. He served as head coach at Appalachian State (1983), Tulane (1985-87) and North Carolina (1988-97), but he is best known for his stint with the University of Texas (1998-2013), where he won a national championship in 2005 and played for another in 2009. Brown retired in 2013 and now serves as a Special Assistant to the Men’s Athletics Director and President at The University of Texas, and as a college football analyst for ABC and ESPN. David Oliveira, Attorney, Roerig, Oliveira & Fisher, L.L.P. Tudor Ulhorn, President, Rio Grande Equipment Co.
Oliver Luck, Executive Vice President, NCAA; former Director of Athletics, West Virginia University; President and General Manager, Houston Dynamo; former Vice President of Business Development and President and CEO, NFL Europe, former quarterback for West Virginia University and the NFL. Mike Vollmar, Senior Associate Directo for Football Administration, University of Tennessee; former Director, Football Operations at the University of Alabama, University of Michigan and Michigan State University. If UTRGV does establish a college football program, it would come soon after UT-Permian Basin successfully petitioned the UT System Board of Regents for their own football program. In announcing the decision by the UT System regents, Travis Woodward, UTPB’s Director of Communications and Special Projects, provided highlights of the successful efforts by that university, which in the Fall of 2014 had reached a record-high 5,565 students. By comparison, the Fall 2015 enrollment for UTRGV of 28,584 students makes it the ninth-largest four-year public university in Texas, and the fourth-largest within The University of Texas System. Athletics has been and is a key part of UTPB’s plan to transform the university from a commuter campus to a more traditional university. Currently, student athletes and student participants involved in athletic-supported activities comprise 13 percent of the full-time undergraduate student population. Athletics provides a source of community and school spirit. As the only Texas public university west of I-35 that does not play football, UTPB will now be in a more competitive position to attract students from West Texas and the entire state. In addition, academic programs will be expanded and enhanced as the student population demands it. UTPB developed a 10-year Strategic Plan for the period of 2009-2019 with the intent to increase enrollment beyond 8,000 students by 2020. The newly approved football program directly supports this plan. In addition, new athletic staff and facilities will be added to support the new program. Watts praised the groups that have moved the football initiative forward in record time. “The addition of a marching band and related student activities will also allow for a more personal experience for many more students than in the past,” Watts noted. Marci Caltabiano, Patrick Gonzáles, and Travis Woodward contributed to this story. Rep. Terry Canales, D-Edinburg, represents House District 40 in Hidalgo County. HD 4o includes portions or all of Edinburg, Elsa, Faysville, La Blanca, Linn, Lópezville, McAllen, Pharr, San Carlos and Weslaco. He may be reached at his House District Office in Edinburg at (956) 383-0860 or at the Capitol at (512) 463-0426.